St. Paul’s Episcopal Church has an excellent location along popular Duval Street in Key West, but even without that enviable piece of real estate, the church would be hard to miss. On sunny days, its white exterior stands out brilliantly against the bright blue Key West sky. Inside, you’ll find a peaceful reverie from the bustling vibe of Key West. The St. Paul Episcopal Church dates back to 1833 and was the first church community in the United States south of St. Augustine; however, the current church structure is actually the fourth one as hurricanes and fires ravaged the first three churches. In 1919 the fourth church was completed following the plan to construct it mostly out of concrete to make it more durable. This proved true until the 1990s when the salt and sand from the nearby beach and ocean accumulating within the walls over the decades resulted in splitting of the walls, leading to a risk of the church caving in. A major restoration totally over $1 million was conducted and the church was saved. Today, the church’s history and beauty attract visitors from all over the world. Part of St. Paul’s Episcopal Church’s aesthetic loveliness comes from the stained glass windows adorning the sides of the church. These were installed in the 1920s and provide brilliant color and design to St. Paul’s. The church’s ten bells, which were recovered from the third church structure, are also a must-see as they were created by the McShane Company of Baltimore and weigh over three and a half tons. 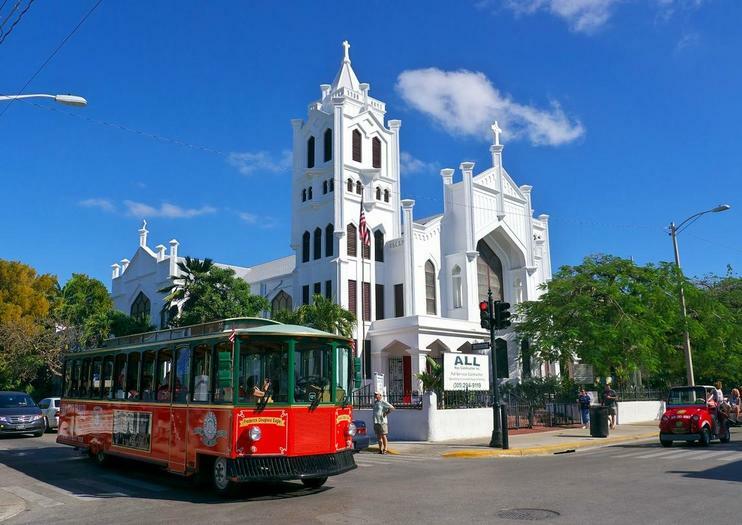 St. Paul’s Episcopal Church is located at 401 Duval Street in Key West and is open daily. Most days, the hours for visitors to tour the church are 8 a.m. to 7 p.m. though this is subject to change depending on church events and needs.